The Ministry of the Interior (MOI; Chinese: 內政部; pinyin: Nèizhèngbù; Pe̍h-ōe-jī: Luē-chèng-pō͘) is a cabinet level policy-making body, governed under the Executive Yuan of the Republic of China (Taiwan). 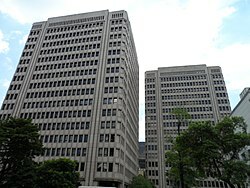 It is the fundamental executive yuan agency responsible for home affairs and security throughout Taiwan, including population, land, construction, military service administration, national emergency services, local administration systems, law enforcement and social welfare (prior to 23 July 2013). It closely monitors the rights of the residents and every aspect of national development to ensure steady progress of the nation, strengthen social peace and order, and upgrade the quality of citizens' lives. The Ministry bears the responsibilities to direct and monitor the highest-ranking local officials in the execution of tasks charged by the Ministry. For direct administration affairs, the Ministry is charged with the authority to order or take disciplinary actions against the highest-ranking local officials. When an official is suspected of conducting illegal acts or overstepping his/her authority, this local official may be suspended or removed pending a resolution from an Executive Yuan meeting. The Ministry is currently organized into five departments, one office, four sections, six committees, and one center to share the responsibilities. Department of Civil Affairs: in charge of local administration, local self-governing, border administration, public properties, political organizations, elections, religions, rites, funeral, rituals, and ceremonies, historical site investigation, maintenance, and registration, and other civil affairs. Department of Household Registration Affairs: in charge of household registration administration, nationality administration, population policies, census, national identification cards, name-usage and registration, migration planning, and other population affairs. Department of Land Administration: in charge of land surveys and registrations, land value assessments, equalization of land rights, land entitlement investigations, land consolidation, land expropriation, land utilization, territorial administration, and other land administration affairs. Furthermore, the Ministry is also set up with sixteen social administration units and two land administration units, which are directly under the management of the Ministry as second level agencies. 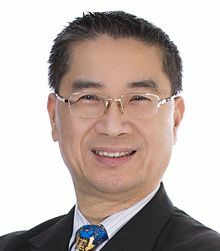 Hsu Kuo-yung, the incumbent Minister of the Interior. The MOI building is accessible by NTU Hospital Station of the Taipei Metro on the Red Line. Wikimedia Commons has media related to Ministry of the Interior (Republic of China).